Tony Abbott’s recent book, Battlelines, discusses the fundamental nature of the Liberal Party, and what it would have to do to return to government at the next election. Abbott suggests that the party—or at least the conservative wing of the party—is in a special position when it comes to providing explanations for its policies. Whereas liberals and socialists might strive to provide systematic explanations that justify all their policy decisions in terms of the single idea that is at the core of their respective party ideologies, conservatives, he maintains, are in a different position. They often cannot and should not seek such all-embracing explanations. “How necessary or important is it to be able to offer all-embracing explanations anyway?” Abbott asks rhetorically. His answer, on behalf of fellow conservatives, is likely to be, “Not very.” However, I want to suggest that whilst conservatives might be uniquely placed as the only political players who are not required to provide systematic explanations for their policies, there are at least three reasons why their unique position on the political spectrum demands that they should provide disciplined—if not systematic—explanations for their policies. Abbott does a very good job of articulating two aspects of his place in the world of contemporary Australian politics. First, he provides a succinct account of the sense in which he regards the Liberal Party as the custodian of two political traditions in Australian political life—the liberal tradition of the Whigs and the conservative tradition of the Tories. Second, he provides an analysis of those two traditions, concentrating in particular on what it means to be a conservative in twenty-first-century Australia. These two traditions have their origin in the period of English history between the restoration of the monarchy in the seventeenth century and the rise of constitutional monarchy in the nineteenth century. During the English Civil War, the Royalists and Roundheads argued about the proper relationship between the monarchy and the parliament, and between the church and the state. With the restoration of the monarchy after Cromwell’s short-lived commonwealth, a settlement was reached on these issues, and it was in this context that the Whigs and the Tories came to dominate the political scene during the formative period of the contemporary political system. Put crudely, the Whigs were the party of the liberal voice and the Tories were the party of the conservative voice. The liberal voice championed the freedom of the individual as a fundamental criterion for a flourishing society. The conservative voice championed the importance of traditional institutions as the linchpin for a flourishing society (in particular, the monarchy, the church, and the family). Should we choose between the freedom of the individual and the place of traditional institutions in society? An intelligent person might realise that human flourishing involves agents exercising their autonomy as free individuals whilst also performing the roles they are assigned as participants in the institutions of their society. Hegel argues that if one analysis of society forces one to value freedom over tradition, and another analysis forces one to value tradition over freedom, then there must be a further higher-order analysis in which this dichotomy between freedom and tradition does not apply. But that requires us to adopt the kind of metaphysical solution favoured by transcendental and idealist philosophers, but rejected by more pragmatic political operators. Michael Duffy reports that towards the end of Abbott’s time studying philosophy and politics at Oxford, the historian Lord Blake told him, “sometimes your robust common sense needs to be tempered with a little philosophic doubt”. The value of philosophic doubt diminishes and the value of common sense increases as one moves from philosophical speculation to political tactics. However, it remains important to be able to provide the right kind of disciplined explanation of the relationship between liberal and conservative values in politics, even if it is a commonsense explanation rather than an ideological explanation. In addition to the liberal and conservative voices, nineteenth-century England also witnessed the rise of another voice, that of the socialist. For Abbott, the contemporary significance of socialist ideology is what he takes to be its core commitment: the idea that the government ought to control the economy. In the twentieth century, political sparring shifted from bouts between liberals and conservatives to bouts between socialists and non-socialists. Here the conservatives and the liberals have found common cause, both being opposed to the socialist ideology. In Australia, the prevailing non-socialist party has been the Liberal Party. Thus we can understand the Liberal Party as a party opposed to socialism, as well as a party that promotes liberalism and conservatism. Liberalism and conservatism are distinct political positions which held fundamentally opposing views in the debates that raged into the nineteenth century. In the debates of the twentieth century, however, the difference between the liberal and conservative traditions did not seem nearly so significant given the common cause that the two traditions had when faced with the threat of an alternative tradition, the socialist tradition. And so Abbott is right to claim that the Liberal Party became the primary custodian of the liberal and conservative traditions in Australia, as the Labor Party became the custodian of the socialist tradition. Abbott provides some analysis of the nature of liberalism in Australia, which he traces back to John Stuart Mill, and that of conservatism in contemporary Australia, which he traces back to Edmund Burke. Although he identifies himself with aspects of both traditions, he primarily identifies with the conservative tradition, and so it is this tradition that I shall concentrate on in this article. in a progressive country, change is constant and the question is not whether you should resist change which is inevitable but whether that change should be carried out in deference to the manners, the customs, the laws and the traditions of a people [rather than] … in deference to arbitrary and general doctrines. So it is this commitment to how change is made, rather than a commitment to any particular abstract idea, that distinguishes the conservative. In contrast, the liberal and the socialist are committed to making particular social changes that promote their ideologies. Why should Abbott and Disraeli believe that change should defer to the institutions we inherit from the past, rather than promoting abstract ideas? Abbott maintains that it is because the conservative instinctively prefers to rely on facts about how society has always been, rather than speculative ideas about how it ought to be. But I think there is a more profound reason. The conservative is aware that—in a deep and fundamental way—the tradition in which he grows up is constitutive of who he is. It is not merely that the traditions in which I grew up have influenced the course that I have taken in life, but that they have become part of my life, and a part of who I am. Abbott says that “Achievement is possible because ‘pygmies are standing on the shoulders of giants’.” In some sense, however, it would be more apt to say that we pygmies achieve and make progress because we have swallowed the giants who came before us, rather than merely standing on top of them. The conservative is aware that he has internalised the traditions in which he grows up and that he sees the world through the lens of those traditions. That is why progress must defer to that society’s particular traditions. If the change is going to count as progress for that society, it must be guided by the traditions that have become part of the society. Abbott argues that because conservatives do not hold sacred any one abstract idea, the conservative should not be expected to provide the kind of systematic justification for policy decisions that might be expected of a liberal or a socialist. We find in Abbott’s analysis at least four ways in which a policy decision might be explained. First, an ideological or systematic explanation might be offered. Such an approach is seen in the liberal’s attempt to justify all policy decisions in terms of freedom or the socialist’s justification in terms of state regulation of the economy. Abbott gives as examples of liberal ideological policy explanations Howard’s policies on cutting taxes and deregulating the labour market. Second, one might adopt an approach that transcends ideology. Abbott suggests that the nationalist’s justification of a policy decision in terms of promoting a strong Australia that matters on the world stage is an approach that transcends ideology. Abbott sees Howard’s policy on banning semi-automatic weapons as an example of a policy to be explained in terms of the national interest. Third, there is the pragmatic approach to policy-making: we shall adopt the policy that works best in these circumstances, rather than the one that promotes any particular abstract idea. Howard’s decision to fund the Darwin–Alice Springs railway line is, for Abbott, an example of a purely pragmatic policy. Fourth, there is what I would call the counter-ideological approach. That is to say, we do not advance a particular policy outcome because it promotes the abstract idea that we value, but because it frustrates the abstract idea that we oppose. In conceiving of the Liberal Party as a non-socialist party, Menzies could unite his supporters not by demonstrating that his policies always promoted the abstract idea dearest to his supporters (as we have seen, the liberals and conservatives in the Liberal Party differ when it comes to their core commitments), but by demonstrating that his policies frustrated the ideology of the socialist party to which they were all opposed. Abbott wants to argue that a conservative in the Liberal Party ought not to be expected to provide the kind of all-embracing explanation for his policy decisions that the ideological or systematic explanation offers. I want to suggest that even if there is a special reason that the conservative ought to be precluded from having to provide such an all-embracing explanation, there are also at least three reasons why his position requires him to provide a disciplined—if not all-embracing—explanation for his policy decisions. I shall consider each reason in turn. • How does cabinet make decisions? • What are the right decisions for cabinet to make? • How ought cabinet to make its decisions? • How ought we to analyse cabinet’s decisions and its decision-making processes? This distinction is important because, even if all-embracing explanations do not have an important role in the processes by means of which cabinet makes its decisions, it might nevertheless be important that a theorist can provide all-embracing explanations when analysing a cabinet’s decisions and decision-making processes. Abbott is unusual amongst contemporary politicians—at least among conservative politicians—in his willingness to engage with ideas through political analysis as well as with political opponents through polemic. (Battlelines is his third monograph; the two earlier ones were The Minimal Monarchy and How to Win the Constitutional War.) So it is right that we should consider whether Abbott as conservative theorist owes us all-embracing explanations, even if Abbott as conservative politician does not. The first reason why I believe that Abbott’s policies require a special sort of explanation has to do with the conservative’s relationship to his tradition. I have argued that Abbott’s conservative appreciates that his tradition has made him who he is in a deep and important sense. In the case of Australian conservatism, this tradition is that of Western civilisation. Abbott writes that “the bonds between the countries of the Anglosphere arise from patterns of thinking originally shaped by Shakespeare and the King James Bible”. I have no doubt that these sources have profoundly influenced our emotional and spiritual expression. However, there is also a longstanding attitude to rationality—dating back to classical antiquity—that has been at the core of our tradition. It is a tradition that has valued truth and always extolled the virtues of argument as a means of preserving truth when progressing from premises to conclusions. During the medieval period, the interest in Aristotle’s logic never waned. In the modern period, the Enlightenment brought with it a renewed commitment to argument when developing an empirical account of the world. Other civilisations have adopted alternative approaches to rationality and have placed greater emphasis on intuition and aphorism rather than argument. Those traditions might well have their own benefits, but they are different from the commitment to argument that runs through the Western tradition from Socrates to Nietzsche. If the conservative acknowledges that his tradition is constitutive of whom he is, then he also accepts that a certain approach to argument is central to his tradition, and thus argument is central to who he is. For this reason, I believe that the conservative has a special obligation to advance rigorous arguments when explaining his policies: arguing in a particular way is central to his tradition and hence to who he is. If he is to make progress, this progress must be guided by his tradition. Part of ensuring that progress is guided by tradition is ensuring that carefully argued policy explanations are proffered. Liberals and socialists might have their own reasons for wanting to offer rigorous arguments for their policies. But they do not have the commitment to the Western tradition that the conservative has, and hence this does not impose upon them the conservative’s obligation to ensure that he can provide reasoned arguments in defence of his policies. The second reason that a special sort of explanation should be demanded of one in Abbott’s position is of concern not only to the conservative wing of the Liberal Party, but to the party as a whole. As we have seen, the Liberal Party is the custodian of two political traditions: liberalism and conservatism. As such, a special demand is placed on Liberal Party policy-makers. A party that is the custodian of one political tradition must ensure that its policies are consistent with that tradition. A party that is the custodian of two political traditions has an obligation to ensure that its policies are consistent with both of its traditions. This places a special burden on its policy-makers. In saying that the Liberal Party has a special obligation to its two political traditions, I do not prescribe how they should honour those two traditions. I can see at least three possibilities. The strictest requirement would be to require every policy to have both a liberal justification and a conservative justification. The Work for the Dole scheme was a Howard policy for which Abbott demonstrates that both liberal and conservative cases can be made. Although this is the best way of ensuring fidelity to both traditions, it might preclude the adoption of policies for which there is only a conservative or a liberal justification, but not both. The second possibility is that the Liberal Party, as custodian of two political traditions, has both traditions at its disposal when making policy. This would enable more diverse policy-making: sometimes liberal policies might be adopted, other times conservative policies. Such a party might be in the enviable position that it has a richer pool of intellectual resources to draw on than a party that is the custodian of only one tradition. It might also be interpreted as meaning that these resources provide alternative policy options, but that they do not exhaust policy options: a policy might also be adopted for pragmatic reasons, or for nationalistic reasons that transcend ideology. This seems to be the position that Abbott ascribes to the Howard government. Honouring one tradition sometimes and the other tradition at other times means that in the end both traditions have been honoured in finding policy solutions. The third possibility is that the Liberal Party ought to implement counter-ideological policies. The party is the custodian of the two rival political traditions because it emerged as the non-socialist party. Since the two political traditions have common cause in their opposition to another ideology, the socialist ideology, it might be argued that the custodian of the two traditions ought to pursue policies that oppose socialism. This would honour the historical basis for the two parties coming together, but it would provide a rather narrow basis for policy-making. At this point, I do not wish to argue for the correct way in which the two traditions ought to be reconciled in policy-making. I simply want to say that it is a legitimate demand to make of a political party that is the custodian of two political traditions that it can offer some explanation of how its policies reconcile the two traditions. This demand is not one that we would have to make of a party that has only one political tradition: a purely conservative political party (such as the Conservative Party in the United Kingdom) would not require an explanation of this kind for its policies. Third, I should like to point to a distinction between using abstract ideas to find policy solutions, and acknowledging that the subject matter about which policy is made involves difficult or abstract ideas. 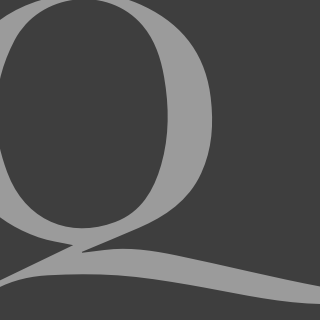 Whether or not one has an ideological commitment to abstract ideas, it is necessary to acknowledge that abstract ideas are often at the heart of the subject matter with which policy-makers are concerned. I shall consider one example. Abbott identifies the Liberal Party’s broad policy concern as follows: “How can Australians individually and collectively come closer to being their ‘best selves’ and what can the Liberal Party do to bring this about?” Presumably, Abbott hopes that the Liberal Party will create policies that allow people to be their “best selves” without invoking ideological solutions. That is fair enough. But the policy-makers must still engage with the abstract ideas that such a proposal involves. What exactly are our “best selves”? What does it mean for the government to help us become our “best selves”? Does this mean that each of us is meant to work out for himself what is the best way for him to be himself? Or does it mean that he should be what his tradition suggests is best for him? And when we come to the question of how the government can help us to be our best selves, is this a matter of the government creating circumstances in which we are free to pursue whatever we happen to crave as being best for us at the minute? Or is it a matter of the government helping us to realise what would really be the best way for us to live? We cannot understand claims about “best selves” without engaging with abstract ideas. The problem is only made more complicated within the Liberal Party by the fact that its two traditions will understand the problem differently. The liberal tradition of Mill will steadfastly maintain that each of us is best positioned to determine what sort of life is best for him. The conservative tradition will temper this with its belief that participating in traditional institutions and the roles allotted to individuals by those institutions is how they can ultimately be their best selves. The liberal is likely to think the government can best help us to be our best selves by creating circumstances in which we are left alone to work out how it is best for us to live, and to be free of interference in our pursuit of it. The conservative is likely to think that the government should strengthen the traditional institutions at the core of society and help people participate more fully in those institutions. One might think that finding expression for one’s sexuality is an important part of being one’s best self. In this case, my being my best self might involve my being left alone to discover for myself how best to give expression to my sexuality. Or it might mean my being guided by traditional institutions such as the church and my family as to what they think would be the best expression of my sexuality. It is not necessary to resolve which interpretation of being my “best self” is correct in this example, or to determine precisely what position a liberal or conservative would take on it. What matters for the moment is that we see that a claim about realising our “best selves” could mean a number of things which might be inconsistent, and it is important to acknowledge the different possibilities and which one is employing. It is entirely another matter how ideological one’s policies about helping Australians to be their “best selves” are. Ultimately, it is important to acknowledge that an explanation for one’s policies must engage with the abstract ideas raised by the subject matter that the policy is about, even if one does not believe that the policy solution ought to be founded on adherence to an abstract idea. And the policy-makers’ understanding of the abstract ideas about which they are making policy should be consistent across all their policies. • have something consistent to say about the nature of difficult abstract ideas that crop up in the subject matter about which policy decisions are made (as opposed to employing abstract ideas when creating policy). So far, the only one to try to offer a comprehensive explanation of the former government’s policies is Kevin Rudd, who has attributed them all to “market fundamentalism”. The fact that he tarred all recent governments with the same brush makes this attempt not merely implausible but laughable. Rudd’s analysis might be incorrect, and it might be incorrect because he attempts to provide a comprehensive explanation for policies where Abbott believes it is not possible to provide a comprehensive explanation. Perhaps it is a mistake to attempt to provide a comprehensive explanation. But it might be that Rudd offers the wrong comprehensive explanation. And it might be that part of the reason why he offers the wrong comprehensive explanation is because he is searching for an all-embracing explanation for the Howard government’s policies, whereas in fact he ought to be looking for a less demanding kind of comprehensive explanation, a disciplined explanation of the kind that I have described above. The difference between Rudd’s approach to policy explanations and Abbott’s has already been noticed by political commentators. Miranda Devine recently described Abbott as “a rational communicator. No doublespeak from Abbott. His clarity of thought and language will expose Rudd as the emperor with no clothes.” I have tried to articulate some of the reasons why Abbott’s conservative position within the Liberal Party demands this of him. Abbott is correct in arguing that the conservative wing of the Liberal Party has special reasons to avoid offering the kind of all-embracing explanations for policy offered by other parts of the contemporary Australian political spectrum. But his position on the spectrum also gives him special reasons to provide disciplined explanations, and this should be kept in mind when future battlelines are drawn. 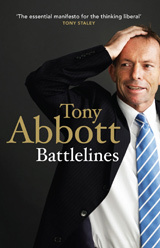 Battlelines by Tony Abbott was reviewed by Jack Snelling in the October issue.